Industrial Facilities Design, Inc. (IFDI) provides companies with consulting and design services which directly meet their needs. Because of our innovative strategies and goal-setting techniques, we have a strong record of client satisfaction. 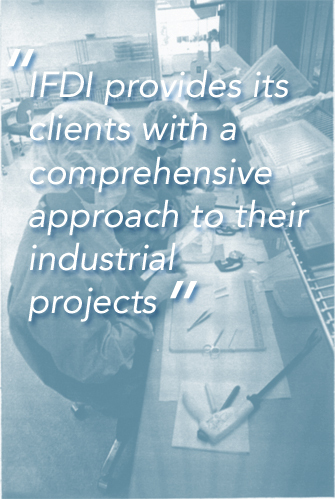 IFDI provides specialty engineering and design to industries requiring clean or isolated processing areas. We specialize in the pharmaceutical, biotechnology, medical device and advanced technology industries.